Give Me My Remote > MARVEL'S AGENTS OF S.H.I.E.L.D. One of the most top-secret shows of the new season — MARVEL’S AGENTS OF S.H.I.E.L.D. — finally debuts tonight, and, well, there’s still only so much that can be said about the series. Tags: Elizabeth Henstridge, MARVEL'S AGENTS OF S.H.I.E.L.D. MARVEL’S AGENTS OF S.H.I.E.L.D. is the final session of ABC’s Television Critics Association day, and we’ll be live-blogging what the cast and executive producers have to say. Be sure to follow along and refresh for the latest updates! Filed under Comic Con, Marvel's Agents of S.H.I.E.L.D. MARVEL’S AGENTS OF S.H.I.E.L.D. 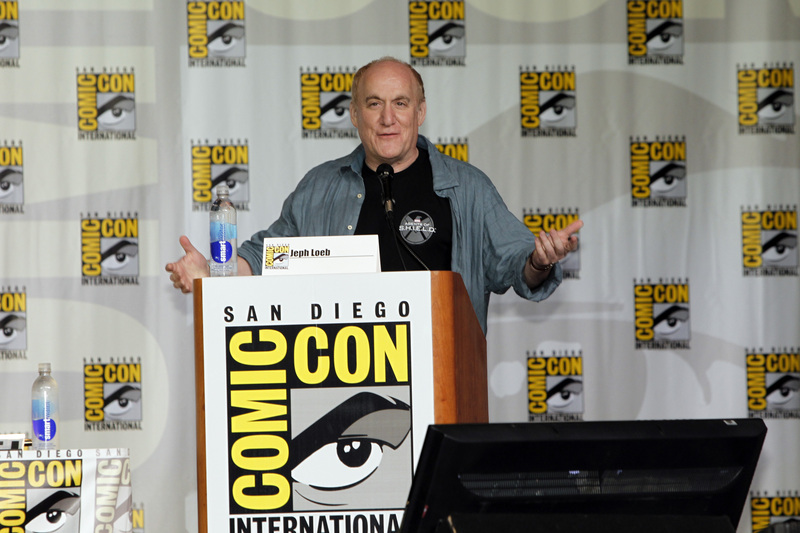 — one of the most anticipated panels of Comic-Con — lived up to the hype. Tags: comic-con, joss whedon, MARVEL'S AGENTS OF S.H.I.E.L.D. Tags: joss whedon, MARVEL'S AGENTS OF S.H.I.E.L.D. They were the last network standing, but ABC has finally released their fall premiere dates. Clark Gregg has been the Marvel go-to guy as Agent Coulson for years, but now his presence will be one of the main factors in the new ABC series, MARVEL’S AGENTS OF S.H.I.E.L.D. Tags: clark gregg, MARVEL'S AGENTS OF S.H.I.E.L.D. ABC Gives a Tease of a Tease for MARVEL’S AGENTS OF S.H.I.E.L.D. Tags: MARVEL'S AGENTS OF S.H.I.E.L.D., S.H.I.E.L.D.